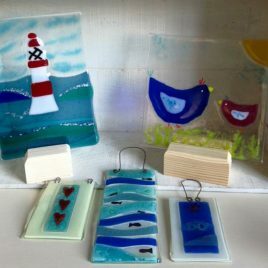 Exciting Glass Workshop - for beginners and improvers. No experience necessary! Class time 10.00 am to 3.00 pm Venue Linda's studio near Cranborne, Dorset.